Below is a list of Testimonials from Delegates, Speakers and Sponsors who have attended recent conferences, events and training sessions produced and coordinated by Netlaw Media. "As always the BLT Forum covers a range of critical subjects for those in the legal technology community, from strategic overviews of the industry and key trends provided by acknowledged experts - to a more detailed focus on emerging technologies and specialist tools. The key technology vendors in the legal sector are available in a single location to answer questions and offer advice, as well as the BLT Forum providing a great opportunity to meet peers and share experiences. " "Thank you to Netlaw for arranging the UK Legal Forum last week. I found it a very worthwhile event and enjoyed the wide range of talks and talking to the exhibitors. Definitely something for everyone, if you could move fast enough!" 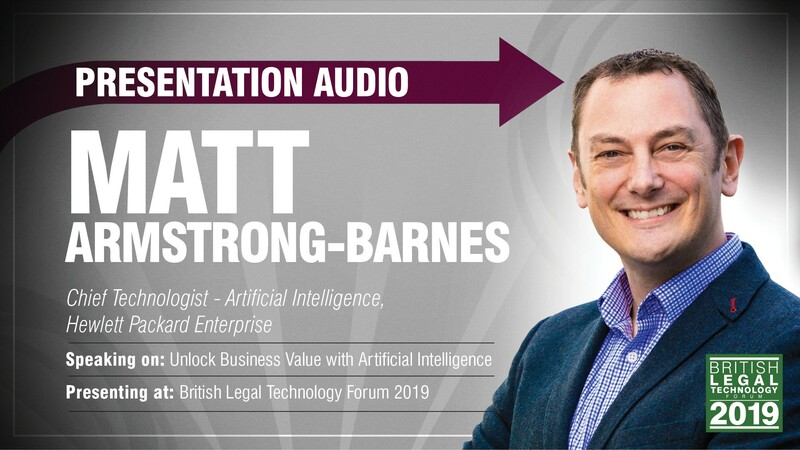 "I was lucky enough to attend the British Legal Technology Forum 2019 in London. With an impressive 1200 delegates, the event was awash with the right mix of delegates, speakers and content. The Forum is a must attend event with lots of takeaways from the day and a fantastic amount for food for thought. It was great to hear from industry leaders, meet colleagues & peers as well as making new contacts. Looking forward to returning in 2020." "Netlaw Media is a first rate operation: an effective and enthusiastic team doing all it takes to organise, promote and produce top tier award competitions. From the well-executed pre-event competition and evaluations, to the high profile awards event and through to the professional post-award publications and support, Frances Armstrong and her team demonstrate excellence at each phase." "I have been attending the London Law Expo for a number of years. The reason I attend is that it gives me a real insight into the latest industry technology, practice management, business development and strategies that will drive my law firm. I always leave the London Law Expo with new ideas and new contacts. The event is time well spent. " "The London Law Expo 2018 was a well organised event at a great venue. There were some excellent speakers and the Masterclass I attended was very entertaining. I will definitely be looking out for this event in 2019." "The London Law Expo continues to be the best place to meet with the key players, gain knowledge and network across the broad but relevant range of areas and topics. It just gets better every year. The right speakers, the right topics all organised in a great package of an event. Netlaw Media events standout as professional and truly relevant." "This was my first year in attendance as a delegate. I found the expo thoroughly well organised and meticulously executed on the day. The themes of the discussions reflected current challenges and the calibre of the speakers was world class. A five star event, which is evidently attracting the brightest stars from the sector." "2018 was my second visit to the London Law Expo and solidified my view that this is a must-attend event for senior legal professionals - marketing, IT and facilities - as much as partners. With impressive keynote speakers and practical workshops as well as a variety of suppliers, this presents a rare opportunity to step away from the detail and work on the business as opposed to in it." "This is an Event for all Lawyers who wish to deliver good service and become marketable in a modern world. I gained insightful knowledge that will benefit me and my firm tremendously." "The private dinner with Richard was excellent and also The British Legal Technology Forum 2018 was the best one I've attended so far. Richard was great as usual but I thought Ian Goldin and Dave Coplin were compelling. It was also useful to see some new vendors and products too. Overall it was a really great couple of days." 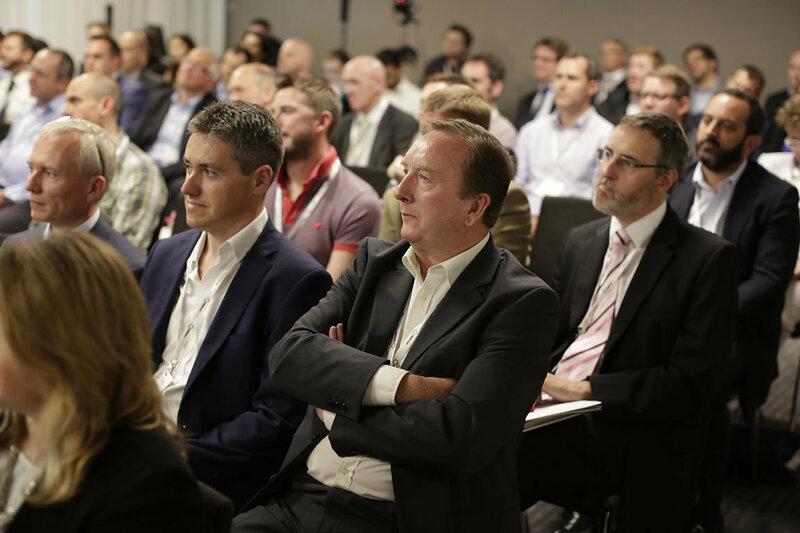 "The British Legal Technology Forum, for me is the ‘Go-To' event of the year. Quality, not quantity when it comes to networking, speakers & suppliers. "The British Legal Technology Forum 2017 was a well organised occasion providing some great speakers, and access to many key legal IT suppliers, all in one convenient location. There is enough going on at this event to fill an entire day. The next five years will be an exciting time for the legal profession in terms of disruptive technologies and how these will shape legal practices. It’s great to attend an event like this to provide a real insight into where legal technology is heading." 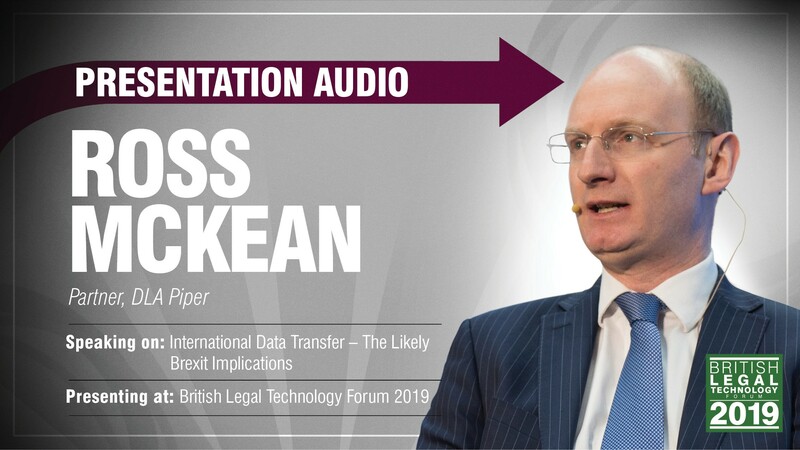 "The British Legal Technology Forum was an excellent event, interesting content, great speakers, and all the legal suppliers in one place." "A day that gives the opportunity to see many cutting edge services to enhance my practice." "I found BLTF2017 very informative due to the high calibre of speakers - the IT legal sector has evolved tremendously in the last ten years and netlaw media have guided us through this landscape over the years. "An extremely enjoyable thought provoking event." "A unrivalled opportunity to digest the hot Legal IT topics in a single (albeit substantial!) location, and to share challenges, concerns and ideas with your peers." "These are exciting times in legal tech and that's better evidenced no where than in the buzz at the British Legal Technology Forum 2017." "A good event with a sufficiently diverse range of seminars to provide a day’s worth of thought-provoking content, and a good chance to meet and share ideas about technology in law firms with other firms’ representatives, and the many exhibitors in attendance." "I was deeply impressed by the professional attitude of all who were in charge, starting with the cloakroom and ending with the technical support. Simply outstanding." "Another well organised event delivered by Netlaw Media, topped by an excellent keynote from Redbull Racing’s Christian Horner. Refreshing to hear a business reliant on cutting edge technology advocate the effectiveness of face to face communication to aid productivity and teamwork." "Informative, useful, surprisingly a must for any legal professional involved with running or managing a law business." "Great conference. Extremely up to date information from world class speakers." "Excellent blend of speakers and topics which maintained my interest throughout." "Netlaw Media have captured the moment with this forward-looking security event. Looking forward to The European Legal Security Forum 2017 already"
"Since attending Netlaw Media events, I have been impressed with the organisation and the detailed knowledge that is shared through the presentations. The hospitality is also always fantastic. " "The European Legal Security Forum was one of the most informative seminars I have been to in a long while. As a new comer to the legal IT world I was able to learn an awful lot. " 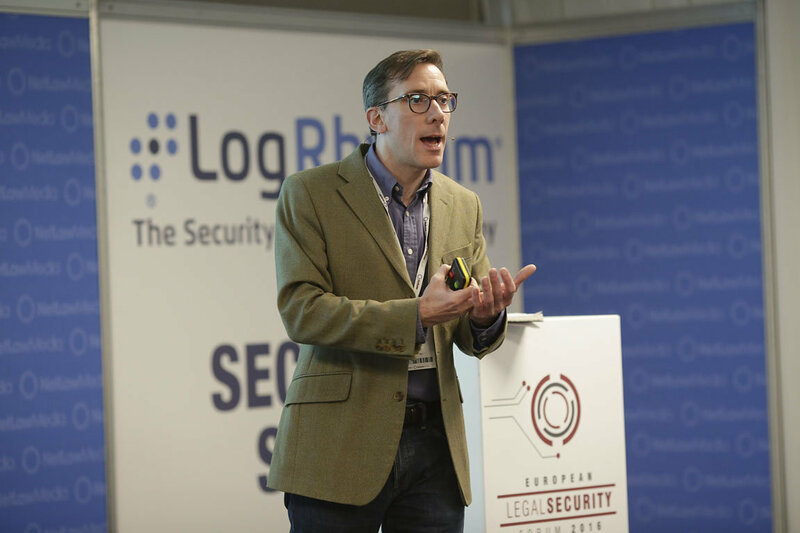 "The European Legal Security Forum was a stimulating event, great keynotes and I found out a number of interesting facts that I did not know before. The organisation was excellent and a quality venue, well arranged and laid out." "The whole day was a slick operation. 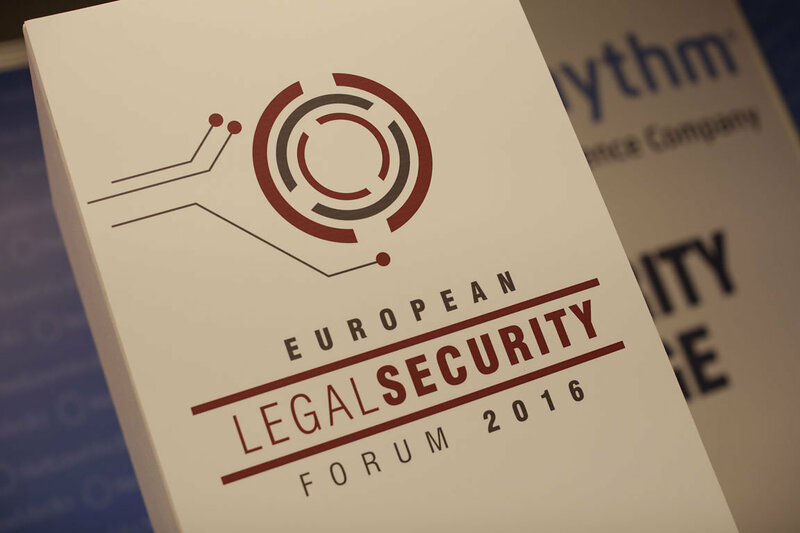 The speakers of The European Legal Security Forum were excellent, I would not hesitate to recommend the event." "The European Security Forum is an excellent event at a top and centrally located venue. " "The European Legal Security Forum was excellent in every way, I would be delighted to be associated with Netlaw Media again." "The 2016 Forum was a great opportunity to hear and see what is happening at the cutting edge of legal technology and to talk to both the providers and other users of the wide range of products involved." "Forward looking speakers and relevant exhibitors made for a thought provoking and relevant event. Contacts made at the event will definitely bear fruit. "The conference was a really useful opportunity for me both to catch up with existing suppliers and to gain awareness of new products out there in the marketplace." "NetLawMedia IT Legal Conferences alway stand above all others, it's always THE place to go. "Prof Viktor Mayer-Schonberger was excellent and highly engaging, great talk on uses of big data." "Fantastic conference programme, agenda, quality of speakers and exhibitors." "Thoroughly enjoy the event, and ensure I always make this one compared to others. Always informative and great to see the vendors in the legal vertical all in one place. Speakers are excellent, especially Richard Susskind and Raj Samani." "A fantastic line of key note speakers at this year's event. "Another year, another amazing conference from Netlaw Media. A packed and informative educational programme led to dense crowds at all three stages, very often with standing room only. Add to that comprehensive representation from the legal IT community and you have a show for everyone." "An inspiring mix of the technology of today and the possible technology of tomorrow. "A really useful day with excellent speakers who are clearly at the forefront of exciting new developments in AI and Big Data. "A "must-go" for anyone involved in LegalTech in Europe! Brilliant speakers, state-of-the-art exhibitors, amazing participants, outstanding venue... it is always worth the trip! " "I just wanted to say thank you very much to everyone that helped organise the Law Expo event. Having so many suppliers in one room was really helpful and short circuited what would have otherwise have been a long process. The talks were also really useful and I was able to put together an action list on return to the office. I thought it was a really professional day." "Many thanks to Netlaw Media for organising the London Law Expo. The event was excellent." "Choice of speakers were very good with a wide range of useful topics for the profession. Choice of venue was right size and good quality service all round. The closing presentation by Randi Zukerberg was inspiring." "Very impressed with just how polished and engaging the speakers were." "A superb convention with an outstanding programme of talks and seminars. I would highly recommend it all legal professionals." "Relevant, well delivered and highly recommended." "Many thanks to you and the team for organising The London Law Expo 2015. It was an enjoyable day with lots of food for thought. "The British Legal Technology Forum was a really good day and the hospitality was excellent. Great food and beverages and helpful friendly staff. Well worth the visit. "The British Legal Technology Forum was a great success and a very worthwhile day. Dr Kaku was as interesting and it was clear that a lot of people had put in a lot of effort to make it such a success…"
"I just wanted to say how impressed and how refreshing the new format was at The British Legal Technology Forum. The speakers and demonstrations were the best yet and the subject matter was spot on with current thinking." "Really good day, in particular the keynote speaker Sir Tim Berners-Lee was incredible. Well done to Netlaw Media the event was amazing. "Wonderful day and a marvellous event. 3rd time at Netlaw Media’s LawTech Futures and this event has been the best so far. Sir Tim Berners-Lee…oh my god - How can you beat Sir Tim Berners Lee?? It was amazing"
"Very informative day, lots to see, lots to listen to. Overall a fantastic event, thank you very much NetLaw Media"
"This is the one event that Managing Partners should make the effort to attend. The agenda is always at the cutting edge." "Congratulations Netlaw Media – Strategic Leadership Forum one of the best events I’ve attended in 30 years." "I have not seen so many attendees at a legal conference before – Many congratulations!" "Netlaw Media provide top quality events for lawyers. It is a pleasure to meet with forward-thinking leaders and senior managers from other firms, and highly instructive to see presentations by A list business and law firm strategists such as James Caan and Prof. Stephen Mayson." "Rare to see such event management &amp; preparation. "Well organised event with interesting speakers and topics that will generate thoughts and debates for the benefit of my firm." "Strategic Leadership Forum 2012 – A great day thank you all. Now for execution"
"Strategic Leadership Forum 2012 was an excellent day, spent in great company. The organisers fielded a world class on-stage line up and also the mix of delegates was just right to continue the conversation over the breaks. Well run and worth diarising for 2013." "Massive thanks and congrats to the team Netlaw Media, Strategic Leadership Forum 2012 was a super day, great content, brilliantly organised as ever..."
"Wonderfully organised, thought provoking, sleep depriving. It’s been great!"" "Just wanted to say a huge congratulations to Netlaw Media for a fantastic event. You really have set the bar very high." "Strategic leadership Forum is a very good event! It is an exciting time for Law. "It was an honour to serve as a panellist and round table facilitator at the 2012 Strategic Leadership Forum. Conducting the round tables early in the day resulted in a dynamic exchange among peers and presenters regarding compelling issues in our industry through the balance of the day. Unlike other events, this vibrant atmosphere prompted delegates to stay and meaningfully engage in networking." "Fascinating! – Networking was great!" "As an entity, a Law Firm deals with a lot of high stakes. Achieving them especially on IT is essential. The first edition of LawTech Futures redefines the way to do business now by being interactive. I was glad to take part at this event." "LawTech Futures is without doubt the leading conference for any professional determined to improve the way their law firm does business." "A Great event…truly inspirational! I thought the keynote speakers were really interesting and made some thought provoking statements." "Thought a short note saying how much I enjoyed attending was in order. I left feeling there were a number of items I missed due to lack of time. I say this as a compliment." "Excellent Event providing real insight and benefit. A must for anyone who works within Legal IT." "Thanks for the great event. It was remarkable!" "The Search for the Holy Grail of Legal Technology Conferences has begun! – Such was the demand to attend LawTech Futures that security involved showing your invite and a passport to gain access and prevent gatecrashers!" "It was a fantastically well run machine today. Could have listened to both key speakers all day. Food good and lots of enthusiasm from delegates." "It was an experience unlike any other and I have attended quite a few high profile seminars." "Hearing Stephen Mayson’s views on the legal landscape are always edifying and The Strategic Leadership Forum conference was no different. I left ready to tackle some of the longer term issues that face the firm with renewed energy." "I’ve been to lots of networking events, but this really is different. It allows lawyers to network with Barristers and ‘In-house’. There is a really good mix at all levels and all areas of law." "Everyone I’ve met has said how normally such events are boring and you just end up meeting the same people again, but at the Partners Club evening they’ve commented on the diversity of the people attending and have had lots of fun at the same time, and I would concur." "Beautiful venue, really interesting and friendly crowd. It’s a very non-typical legal event if you know what I mean! An amazing turnout from many different legal sectors and areas of law." "The unexpected; scalectrix, curry, whisky and very interesting individuals, significant within the legal sector. An evening with the element of fun and not remotely dull, in a great venue!" "The Partners Club event on 2nd February was great, it was very well organised and extremely professional. The opportunity to network with so many In-house lawyers from large established companies was second to none. I will definitely be attending the next event." "The quality and strength of your speakers was matched by the valuable information they shared. The format of (relatively) short presentations, tight timetabling and the one to one opportunities all contributed to a very worthwhile and tremendously productive day." "NETLAW Media’s work and event management skills has made a significant difference to our business. We’ve seen a dramatic increase in client engagement and meeting requests which has been pretty remarkable. "Superb event yesterday!!! THANK YOU for everything from the moment we signed until the end of the day. You guys are the best. The event was wonderful and NetDocuments couldn’t be happier. We really felt as if you guys were on side throughout it all. We have so many great memories of yesterday and we appreciate everything you did to make it great." "I wanted to say well done to you and the team for the London Law Expo 2017, it was a fantastic event, very well run with a quality delegate attendance, we couldn’t be happier with how it went. " "Excellent content, excellent speakers, excellent venue. I left with lots of thought provoking ideas." "On behalf of Repstor and Eversheds, a HUGE thank you for a great launch event at BLTF2017. It went off smoothly, was tremendously well attended and a great success. And off all this is in no small way down to your hard work and attention to detail. Well done each of you." "Just a quick note to say how great this year’s BLTF2017 was - Currently our best one yet!.. I also wanted to thank you for all your support and help. We got many comments about how great our stand, the coffee and cups were on the day. There was also a lot of engagement with clients and prospective clients." "Netlaw Media events continue to be the highlight of our legal calendar." "Brilliant event. Fantastic line-up, great venue, offers the ability to network with market leaders and engage in thought-provoking discussions and seminars. We'll definitely see you again in 2017!" "Thank you for a fantastic event yesterday. The European Legal Security Forum was well run which made it a great experience to have a stand. We made good contacts and had some great conversations. Thank you again to you and your team. "Fitzrovia IT had a great time at the British Legal Technology Forum - Netlaw Media made the whole process of exhibiting very straight forward for us and provided a great platform for us to showcase our expertise in the Legal Sector." "Netlaw media’s events over the past year have really gone down well. The team at Workshare are excited for more." "I would highly recommend any of Netlaw Media's events, they are very well organised and extremely successful from an exhibitor point of view. I have never had anything but fantastic service from their team! Well done. "The British Legal Technology Forum 2016 was a great event, with well-chosen topics and good quality speakers. As an Event Partner, we worked closely together with the NetLaw Media team and we feel that this event enabled us to gain more visibility, promote our solutions, as well as bring our thought leaders in front of the right audience. I want to thank Frances and the NetLaw Media team for their professionalism, engagement and support in making this event a success for us." "We've attended the London Law Expo in 2014 and 2015, on both occasions we've had enormously successful events. We found the event to be among the most polished in the UK. What we enjoy most about the event is that more than a standard conference / exhibition, it acts as more as an educational opportunity for law firms." "Global Exchange is once again looking forward to The British Legal Technology Forum 2016. This event provides a great platform to network with industry leading technology experts. It enables us to showcase up to date solutions in international payments, essential for law firms to operate in today's global market. " "A very slick and well-presented event with good speakers. Netlaw Media have put a lot of effort into the London Law Expo and it showed - SUPURB." 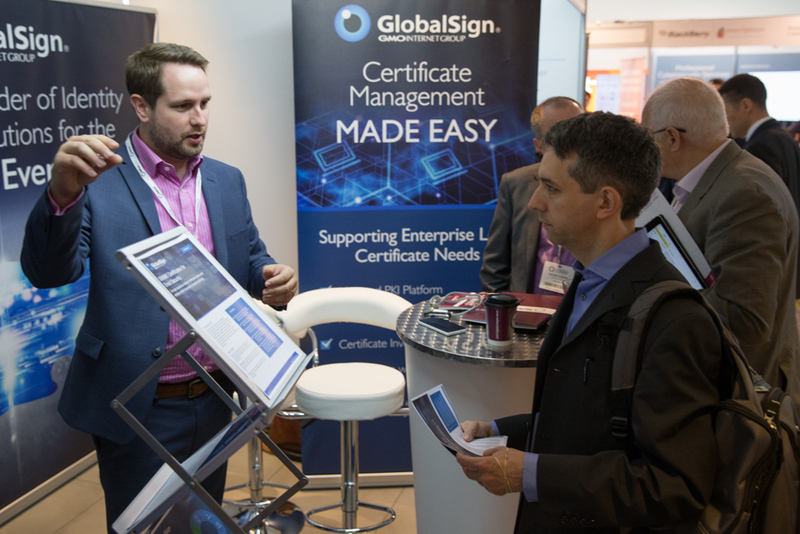 "It’s been quite some time since I was at a show that met let alone exceeded my expectations, the London Law Expo definitely exceeded all my expectations." "Really enjoyed a busy day. Happy and upbeat, quality leads – Once again, well done to Netlaw Media." "We have been regular exhibitors at Netlaw media events over the past few years and as usual, this has been an excellent day. We are certainly look forward to coming again next year." "Would like to congratulate NetLaw Media on hosting a wonderful day. We have been very busy from the time the show opened. Looking forward to coming back again next year." "Net Law Media produces the best legal events in Europe. ‘London Law Expo’ is the one event of the year key decision makers will not miss. They know London Law Expo will have what they need to stay ahead of the game!" "The London Law Expo is Europe’s largest Law show! This event also brings in a good mix of speakers and seminars and gives clients the opportunity to see a range of technology under one roof." "One of the best legal technology events ever !!" "...The venue, the program and the breadth and depth of exhibitors all help make this event unique in the calendar and, in addition, an exceptionally suitable partner for our current focus on developing mutually successful business with the UK’s top legal practices." 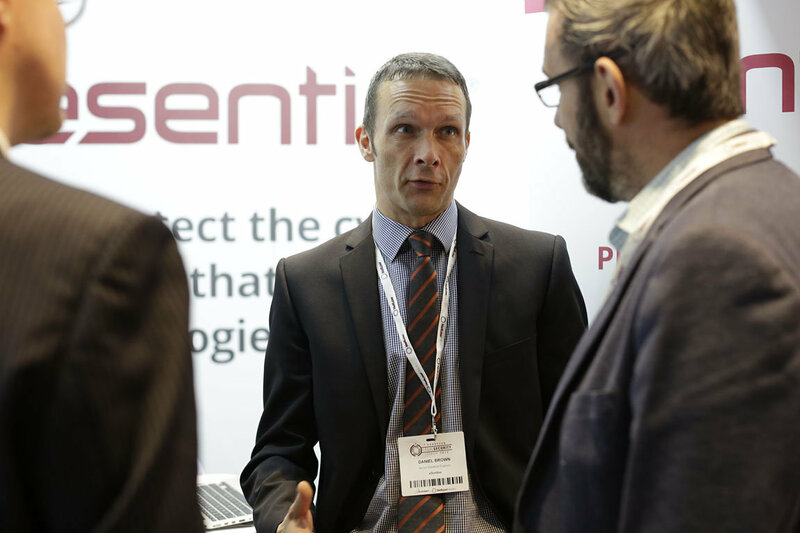 "We were incredibly pleased with the British Legal Technology Forum again this year. It was thoroughly well organised and Netlaw Media were fantastically helpful both in the run-up to the event and on the day. It is great to work with a team who will always do their best to make the event the best it can possibly be for us. We were always really looked-after. Much appreciated." "Our first time at a Netlaw Media event and have really really enjoyed it. We have met lots of good contacts and that alone is invaluable." "Very well organised and productive event. Lots of great contacts, will definitely come back next year." "Wonderful event, very well organised, well attended and great value." "Very high calibre of people compared to other legal shows we have been to. Certainly one of the best one the market." 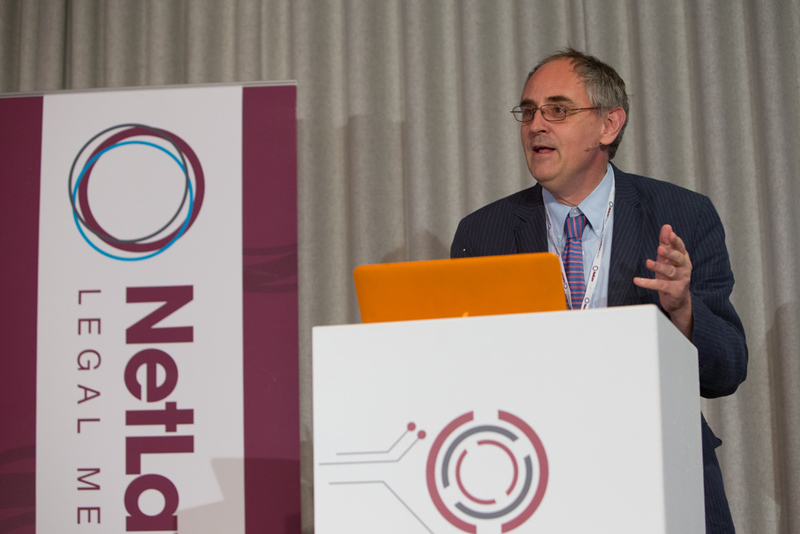 "LawTech Futures was very successful last year, so we decided to come back again this year and once again, Netlaw Media have not disappointed." 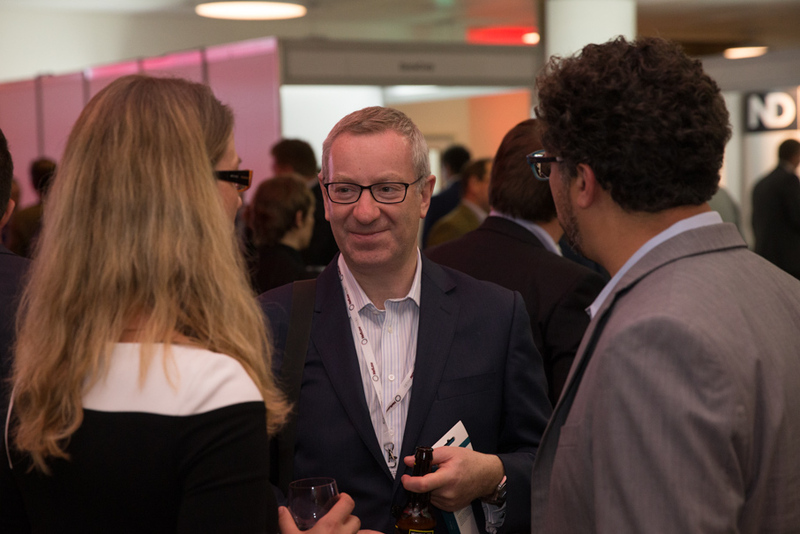 "Really good, interesting conversations – one of the best legal technology events ever." "Absolutely fantastic, good vibe, great conversations." "The show was very well thought-out, with very interesting discussion panels. We look forward to being a part of the next LawTech Futures event." "The attention to detail that the team at Netlaw Media gave to the arrangements was awe-inspiring!" "Congrats on a great event – all the team here thought it ran superbly and we are eager to sign up for next year asap!" 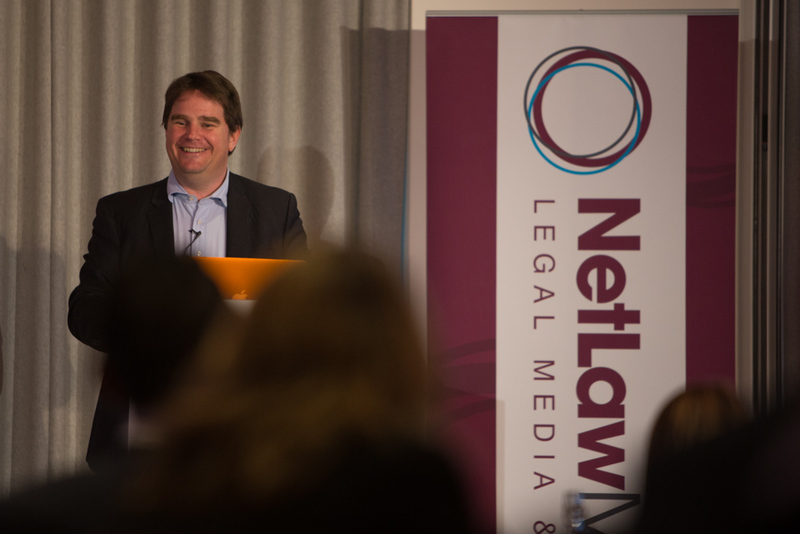 "What can I say, another resounding success, well done Netlaw Media on another superb event." "Just wanted to put a note in to say thank you very much for LawTech Futures 2013. The event was a great success and very well run." 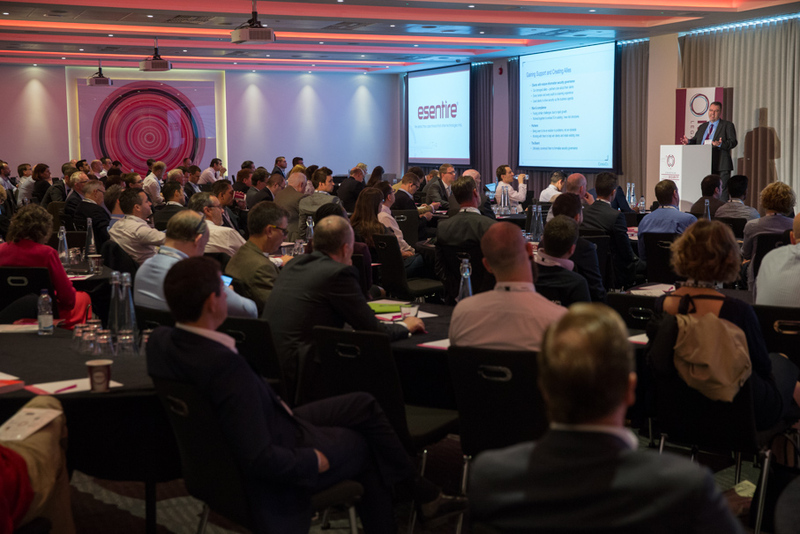 "We were pleasantly surprised at the number of delegates at the first ever LawTech Futures event and the agenda had been well thought through in terms of content." "I’m impressed at the salubriousness of the speakers, it’s a very well organised event with very relevant and appropriate networking – a good cross match of interests and people." "Netlaw Media events are better organised than most. This was a polished event with excellent speakers." "From my part a big well done on hosting LawTech Futures and making it a big success! Certainly from our point of view we got a lot from it." "We were delighted with the Strategic Leadership Forum event and have had a great response from the delegates. As soon as we started dealing with Netlaw Media we knew we were going to get terrific value for money and the work Netlaw did to ensure we were busy meeting delegates on the day proved us right.  We have since opened up a number of new opportunities directly attributable to Netlaw. The venue and staff were excellent on the day and the overall impression was one of professionalism from Netlaw Media. Thoroughly recommended." "The Strategic Leadership Forum was the first big event that I selected to introduce the services of Credit Management (Law) Ltd to a large audience. I couldn’t be more delighted with the results achieved as a result of the contacts that I made during the networking opportunities and especially through my participation in the one2one sessions. I have already been engaged by one contact and talks are in progress with 2 others. I found the format extremely helpful as it enabled conversations and relationship building and felt very natural. It was also a very inspirational day and I came away really energised. I would certainly recommend Netlaw Media events to others." "We have been regular exhibitors at Netlaw Media events over the past few years and as usual, this has been an excellent day. We are certainly looking forward to coming again next year."